I'm going to cut out drinking and swearing and everything connected with the crazy newspaper business! Honey, I'll never even read a newspaper. From the intrepid Woodward and Bernstein in All the President’s Men (1976) to the dogged newshounds of the Boston Globe in Spotlight (2015), journalists and reporters have always been some of the silver screen’s most compelling characters. Although not quite as dedicated to journalistic tenets like facts or the truth, the forerunner of those on-screen newspeople is Hildy Johnson – reporter for the Chicago Morning Post and protagonist of director Lewis Milestone’s acclaimed 1931 film The Front Page. 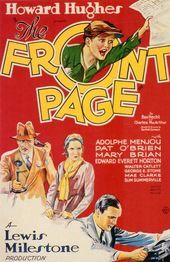 Based on Ben Hecht and Charles MacArthur’s 1928 Broadway hit of the same name, The Front Page follows the misadventures of Johnson (Pat O’Brien), a tabloid reporter trying to get out of the newspaper business just as the story of a lifetime lands in his lap. 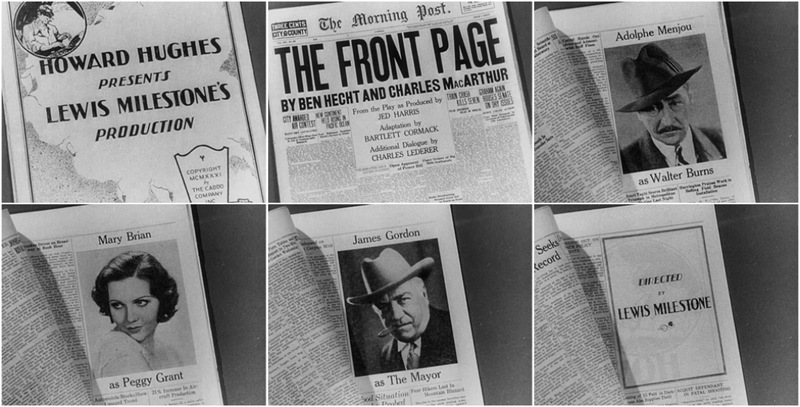 For its opening credits, The Front Page replaces the classic storybook title sequence – already a well-worn Hollywood trope by that point – with something far more familiar to moviegoers of the time: the pages of the local newspaper. Each actor is given a big, above-the-fold headshot on their own page, a decision that affords an ample introduction to the film’s sprawling cast and the colourful characters that they play. Designing the sequence as a local rag also helps ground the film in the world these newspapermen inhabit. Close inspection of the headlines reveals a city plagued by political corruption and rampant crime. The text below each headline, though barely legible, is not placeholder, but appears to detail the related news. Whether these news stories were ripped from real headlines or fabricated for the film is unclear, but the attention to detail is to be admired. It’s appropriate that playwrights Hecht and MacArthur are given top billing with front page bylines in the sequence. The writing duo began their respective careers as reporters and the film is largely based on MacArthur’s own experiences working at the City News Bureau of Chicago. While writing the play Hecht and MacArthur are said to have flipped a coin to determine who would get first billing. Hecht called tails and has received the first credit on every subsequent edition of the story. 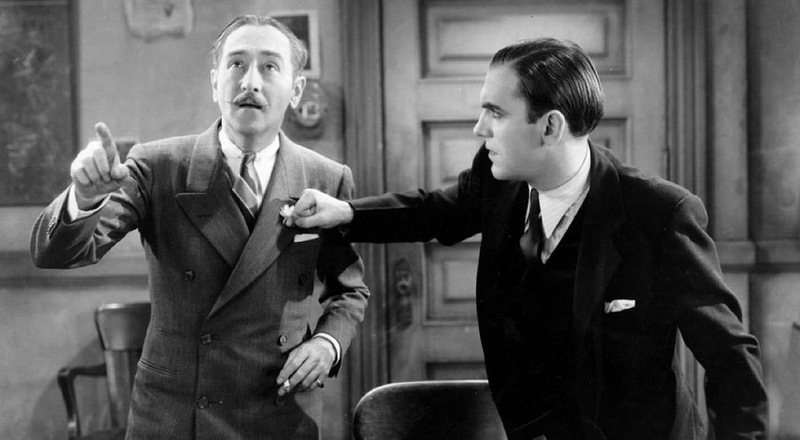 Widely regarded by film historians as one of Hollywood’s earliest screwball comedies – complete with the snappy, rapid-fire dialogue emblematic of the genre – The Front Page would ultimately be overshadowed by Howard Hawks’ 1940 classic His Girl Friday, a gender-swapped adaptation of the original Hecht-MacArthur play, starring Rosalind Russell (as Johnson) and Cary Grant. The Front Page would be remade twice more after His Girl Friday, first by legendary writer/director Billy Wilder in 1974 under the same title and again in 1988 by filmmaker Ted Kotcheff as Switching Channels. Each version features its own distinct opening title sequence riffing on the highs and lows of the news business.